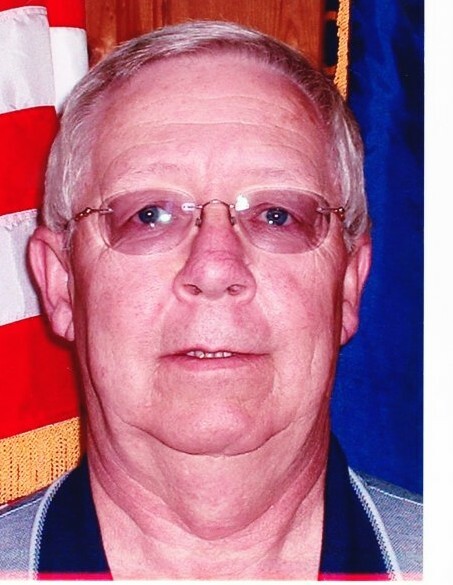 Richard Lee Holmes, 76 of Lawrenceburg passed away surrounded by his family Friday, February 1, 2019 at Samaritan Hospital in Lexington. He was the son of the late Melvin L "Jake" and Virginia Mae Pittman Holmes. He was a member of First Baptist Church where he served on the T.V. Ministry and was a trustee. He retired from Bellsouth after 30 years of service, then went on to work for the Lawrenceburg Police Department as a telecommunicator. He aslo worked with the T.V. crew at Keenland in Lexington. Richard is survived by his wife of 54 years, Drayma Carman Holmes; daughter, Candy Holmes Smith; son, Richie Holmes, all of Lawrenceburg; sister, Diane Reynolds, Danville; brother, Mark (Lynn) Holmes, Morland; grandchildren, Matthew (Bethany) Smith, Versailles, Logan Tyler Smith, Richmond, Solomon L. Smith, Lawrenceburg, Joshua Lee Holmes, Clarksville, IN., and Joni Marie (Nathan) Gronefeld, Frankfort. Funeral services 11:00 A.M. Tuesday at Gash Memorial Chapel with Dr. Robert F. Ehr officiating. Burial will follow in the Lawrenceburg Cemetery. Visitation will be 4-8 P.M Monday. Memorial contributions may be made to the First Baptist Church From the Heart Fund or the T.V. Ministry, 111 N. Main Street, Lawrenceburg, KY 40342. Casketbearers will be Troy Metcalf, B.J. Crane, Philip Crane, Josh Satterly, Brian Dennis, Todd Evans, Tommy Vaughn and Todd Sparrow. Honorary bearers will be Martin Elder, Hunter Martin, Janet Carter, Joe Saunier, Steve Clark, Tony Likins, Joe Milam, Lance Roe, Billy Whitenack, Chris Beach, Mike Shell, Troy Young, and Chad Cox.